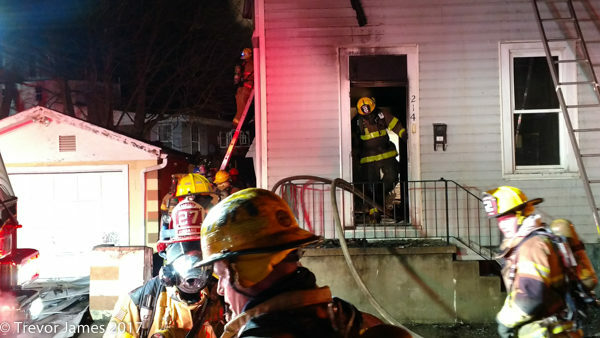 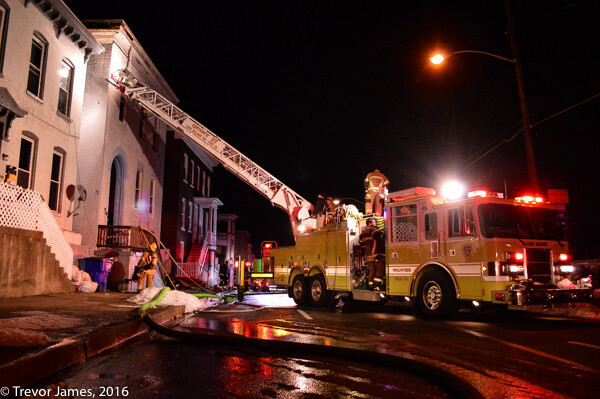 Hagerstown city (MD) firefighters responded to a reported house fire on Jefferson St. (east side of downtown Hagerstown) Saturday night (2/5/17) around 9:15 p.m. 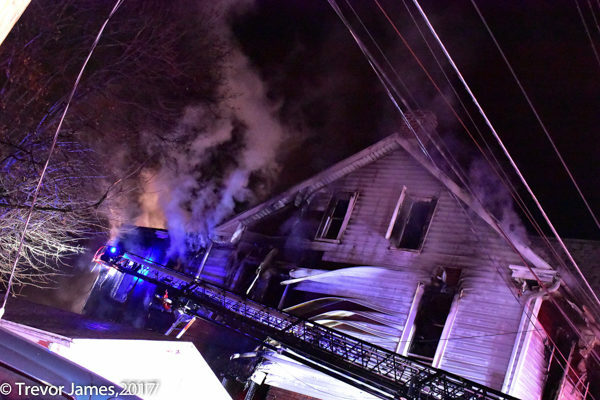 They encountered heavy fire from multiple sides and the attic of the 2-story, wood-framed duplex structure. 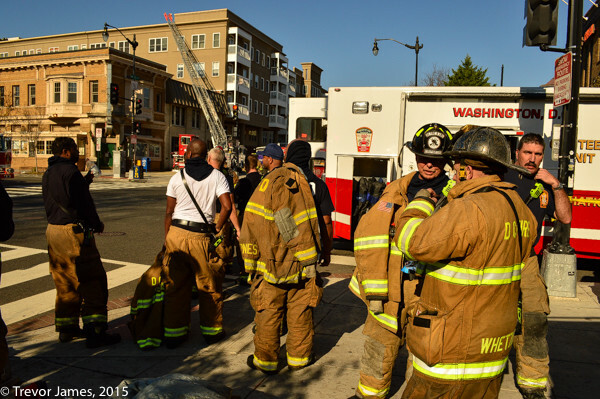 Command quickly escalated the box assignment to include rapid intervention and safety assignments. 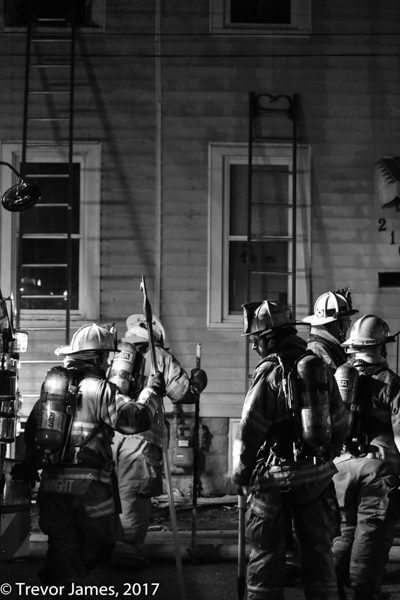 Crews aggressively worked the interior of the duplex but were pushed back by heavy fire and smoke. 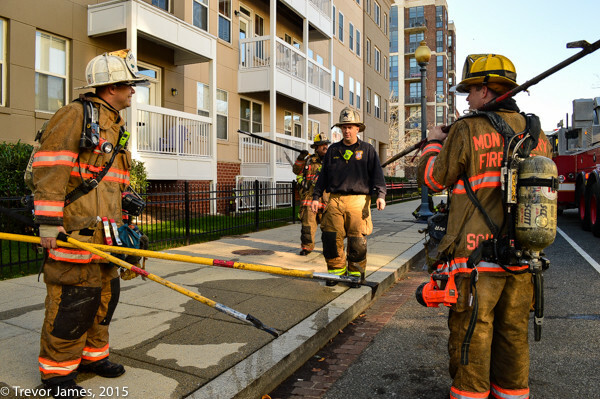 Evacuation tones were sounded multiple times during the first 20 minutes of the incident. 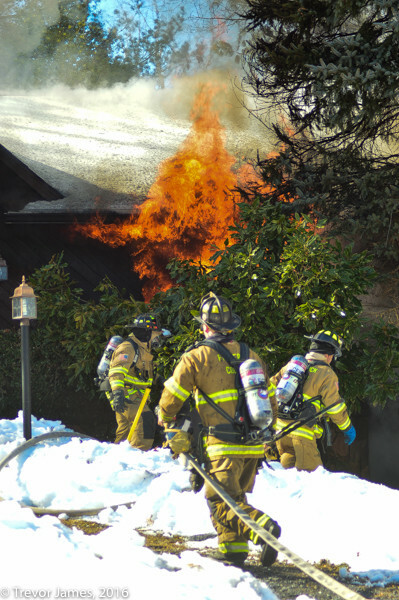 Interior teams re-entered the complex and knocked the heavy fire. 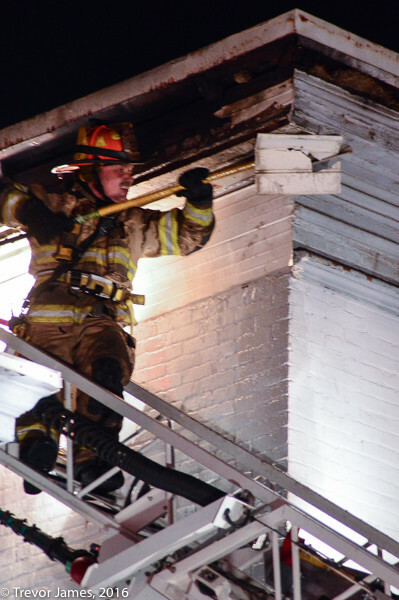 Truck companies worked the roof and attic areas to expose fire that had extended into the walls. 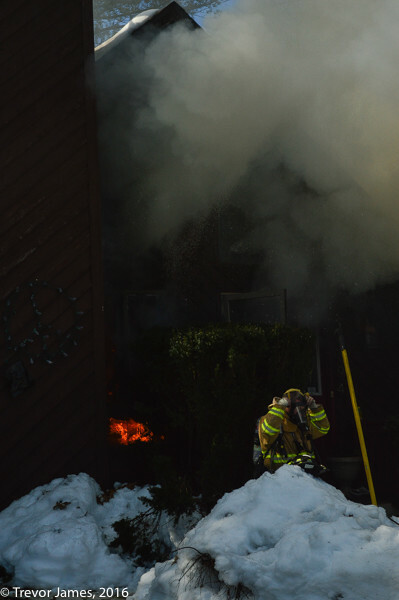 All occupants of the duplex self evacuated. 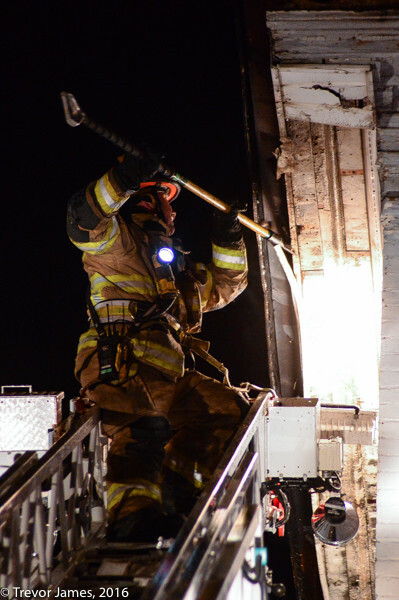 Crews remained on scene for hours to perform overhaul. 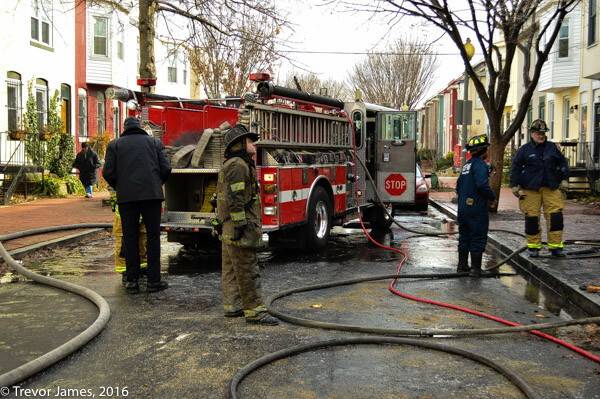 Command ordered an additional engine and squad company and eventually a 2nd alarm for manpower to assist the initial crews. 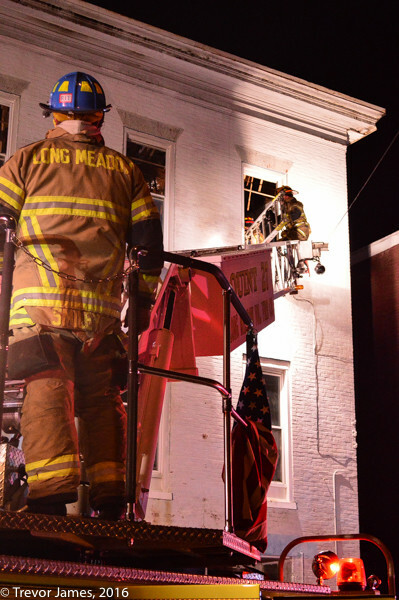 Companies from Washington County including Longmeadow, Funkstown, Maugansville, Halfway, Washington County Special Operations, the Rehab and Air units assisted in the incident. 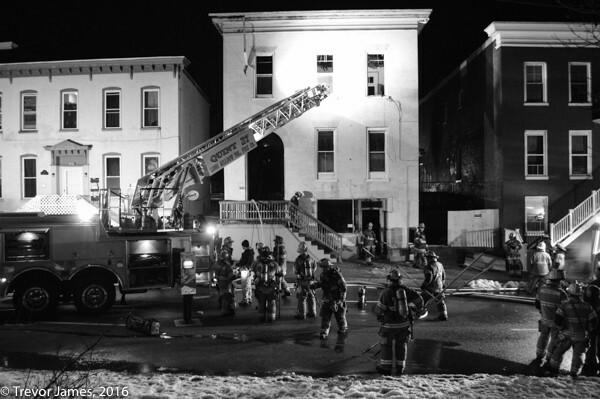 Thursday evening (2/4/16), Hagerstown City (MD) fire crews were busy fighting a house fire on Day Road when another structure fire box was toned out on W. Washington St. First arriving units, many of which were on mutual aid transfer to stations in the city reported a fire showing through the roof of a three-story apartment building. 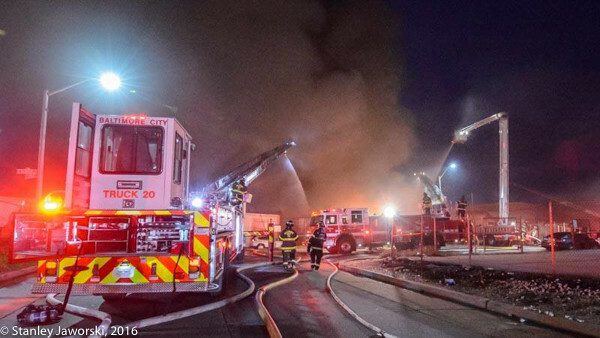 Heavy fire was extending into the cockloft of the structure. 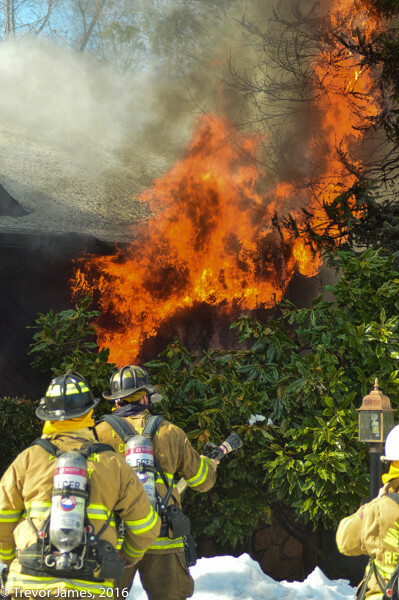 Crews confirmed reported entrapment and performed rescues of the occupants. 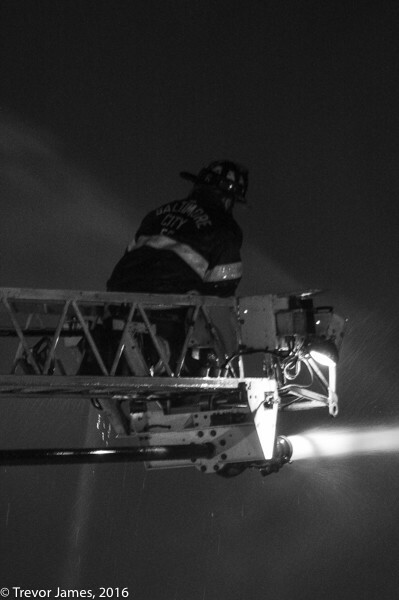 A 2nd alarm was sounded bringing in more mutual aid to the city. 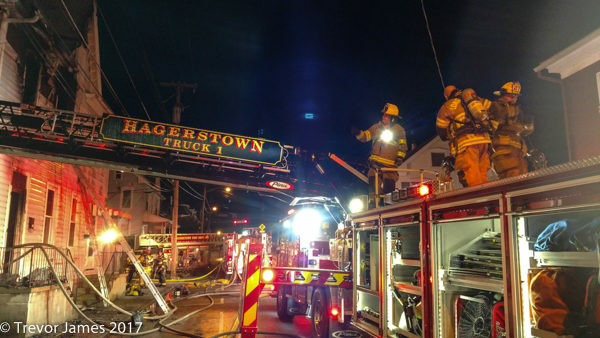 Crews from Longmeadow Co. 27, Williamsport Co. 2, Maugansville, Waynesboro, PA, Funkstown, Hagerstown, Washington County Special Operations, Rehab 255 & Air Unit 25, Greencastle, PA, Halfway, Community Rescue Service 75, and more worked the job for over three hours performing extensive overhaul. 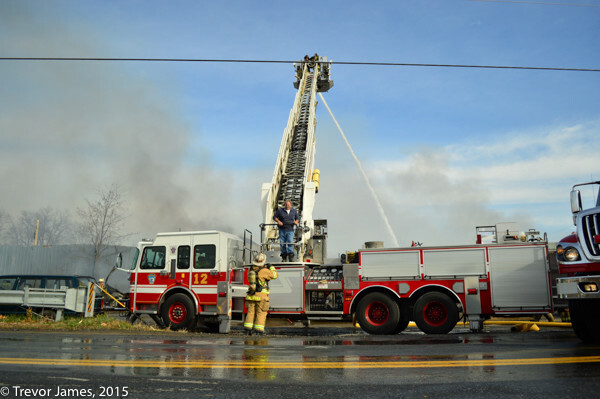 This was the first working structure fire for the new Engine 2-1 of the Williamsport, MD fire department. 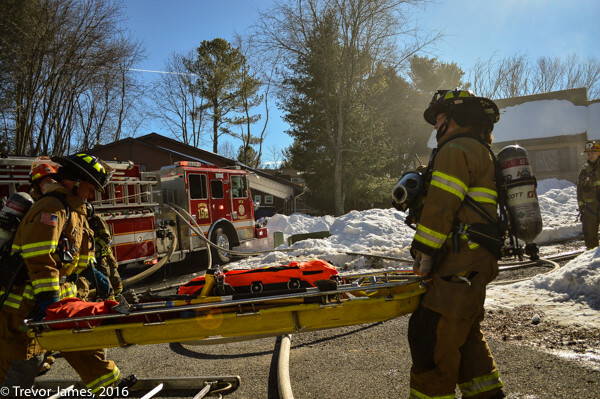 On Saturday, Jan. 30, Frederick County Fire & Rescue units were alerted for the basement fire on Greenlea Ct in the Lake Linganore area of New Market, MD. 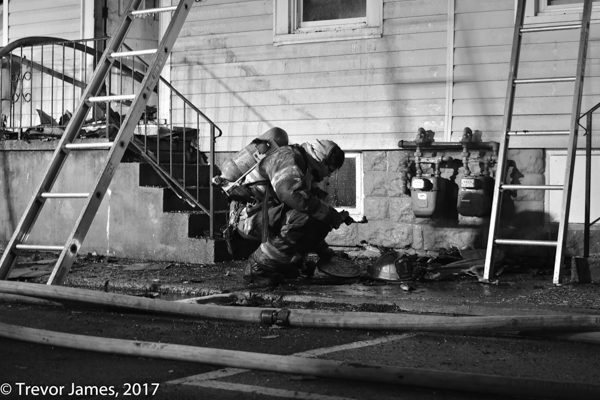 First arriving units from Co. 15 reported smoke showing from the house and confirmed a working basement fire with extension upwards to the first floor of the residence. 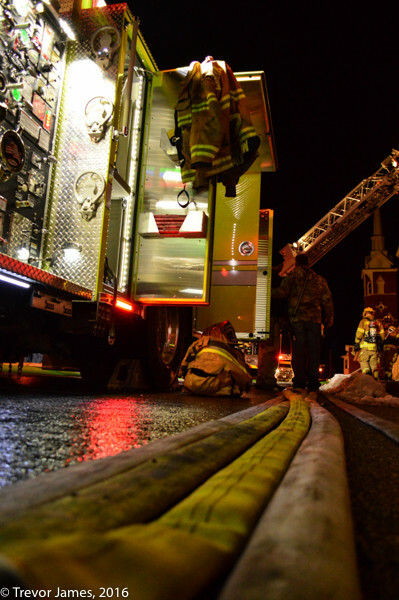 Fire attack crews found a heavy fire load in the basement and conditions deteriorating quickly. 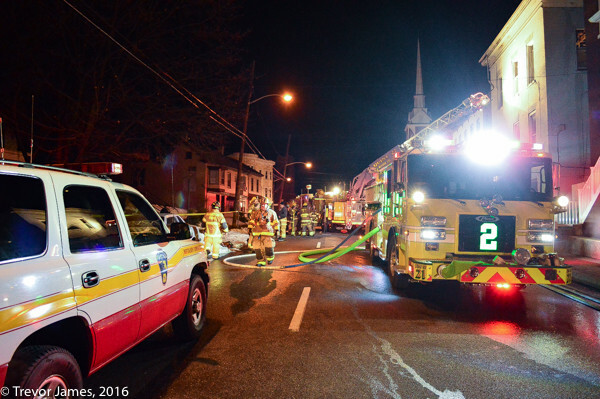 A full working fire dispatch and rapid intervention dispatch was sounded. 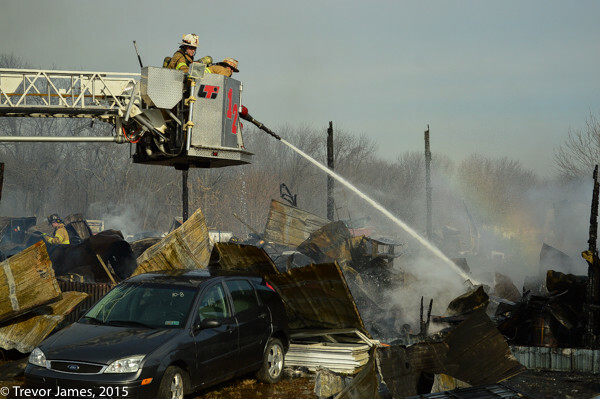 Additional alarms/special calls for more manpower and apparatus were sounded. 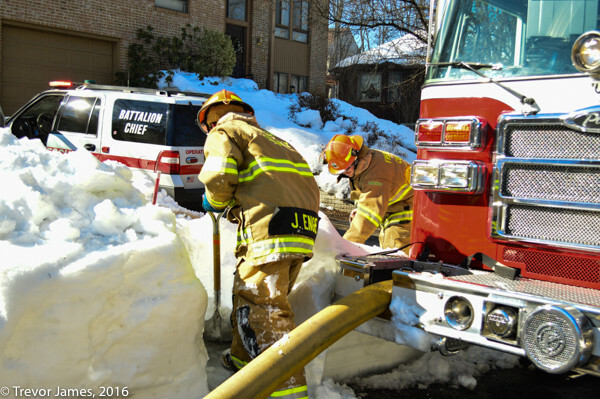 Firefighters found hydrants in the neighborhood buried as a result of the recent snowfall from the 2016 blizzard and had to spend time clearing the hydrants before getting water. 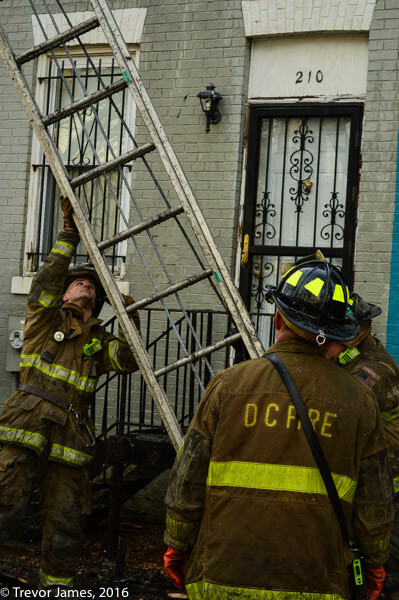 Units were on the scene for a few hours performing overhaul and investigation. 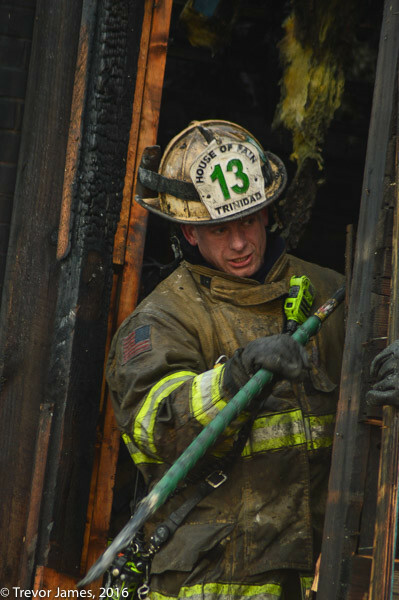 Chief 15-1 had command. 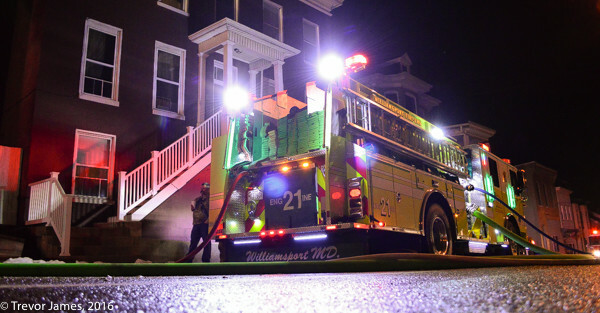 I happened to be at Co. 24 in Walkersville taking photos of their rescue squad rig when the box was struck so I was in good position to get photos on this job. 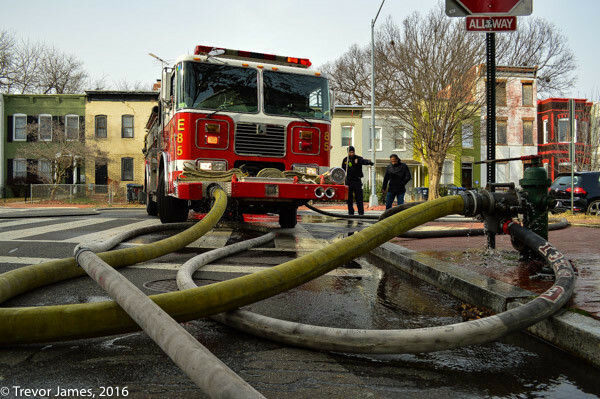 Here are some additional fireground and overhaul shots from the working fire on Bates St. NW in Washington, DC on Wednesday (1/20/16). 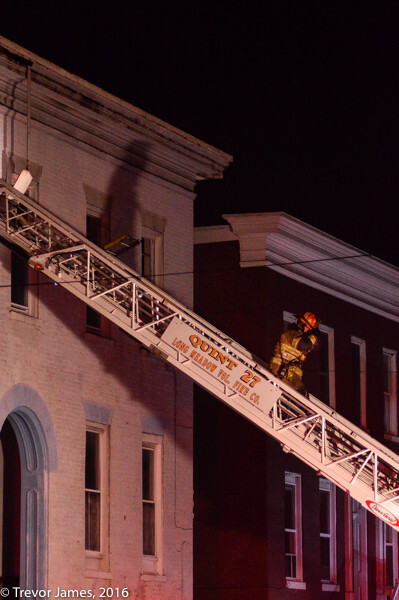 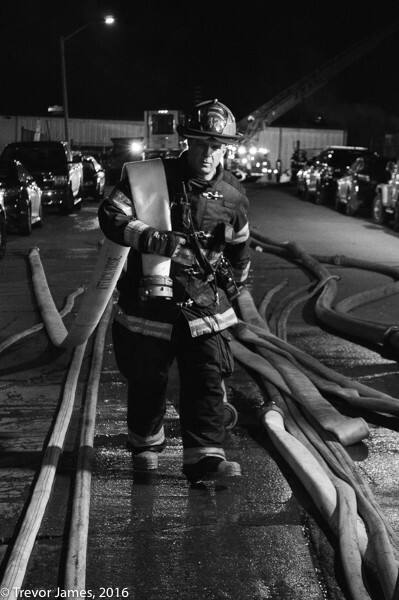 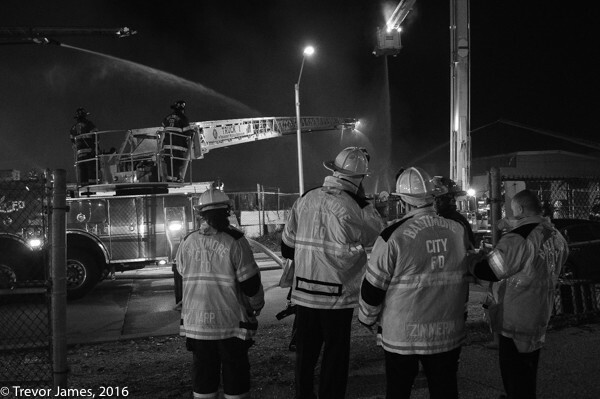 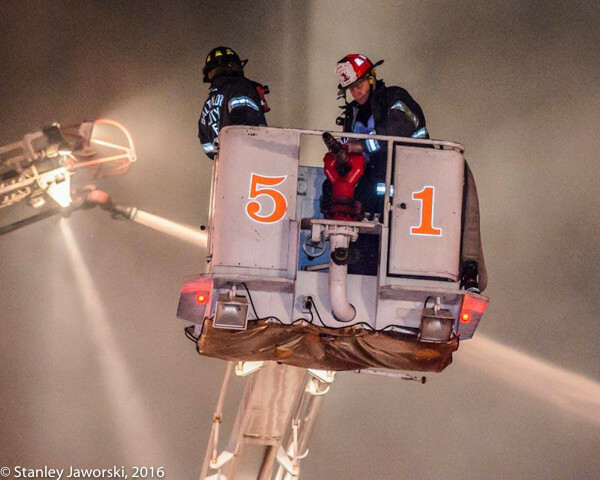 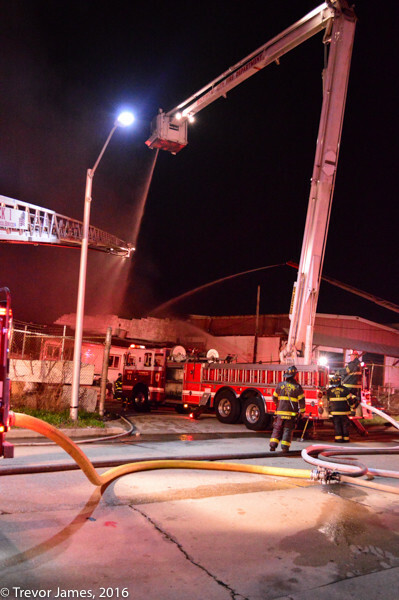 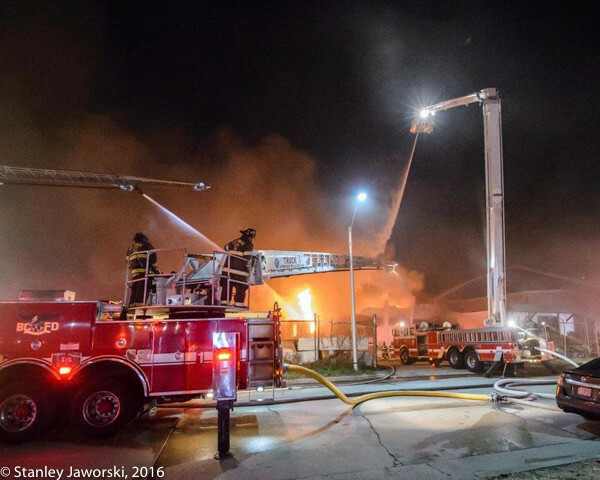 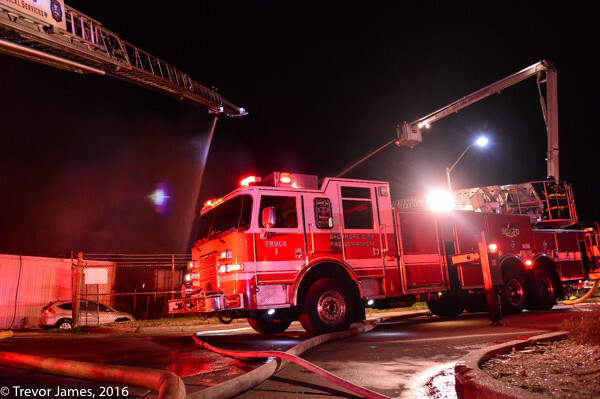 Baltimore City firefighters battled a 3-alarm warehouse fire on New Years Eve. 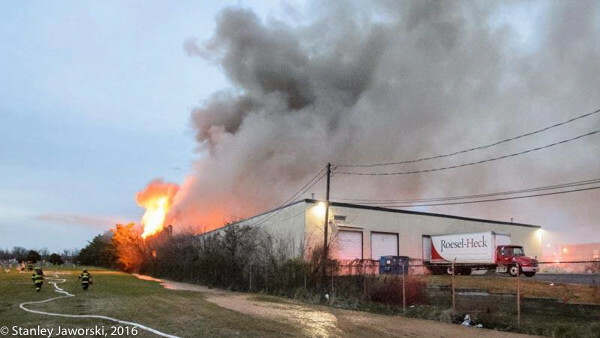 Units arrived to find heavy smoke showing from a 200×400′ commercial warehouse building with exposures. 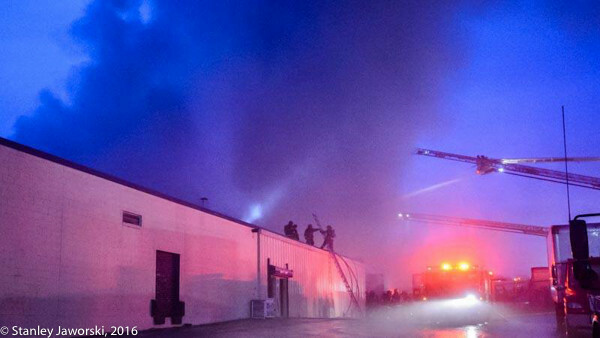 Fire was soon pushing through the roof of the structure. 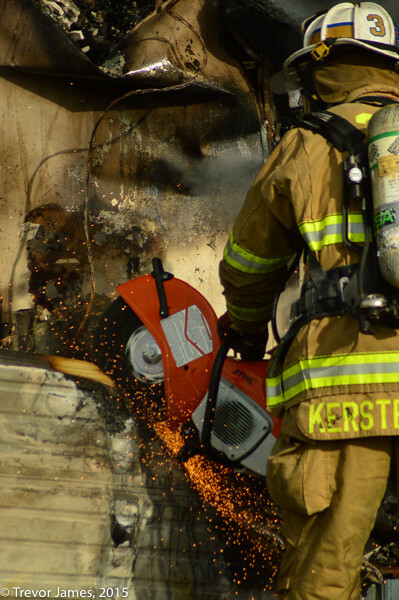 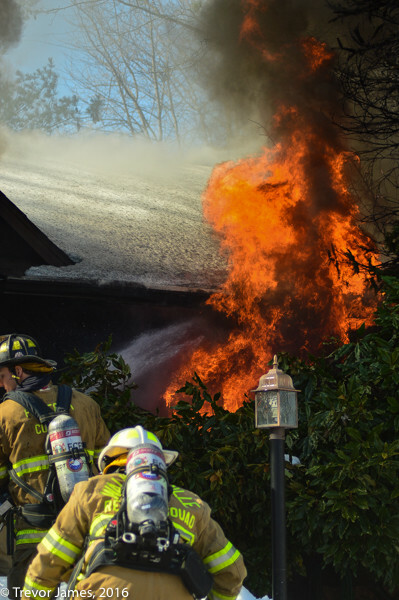 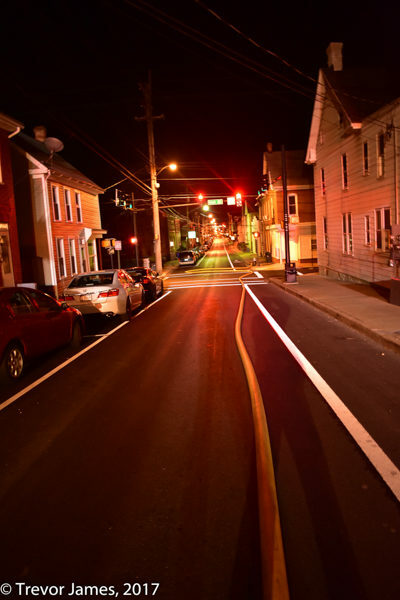 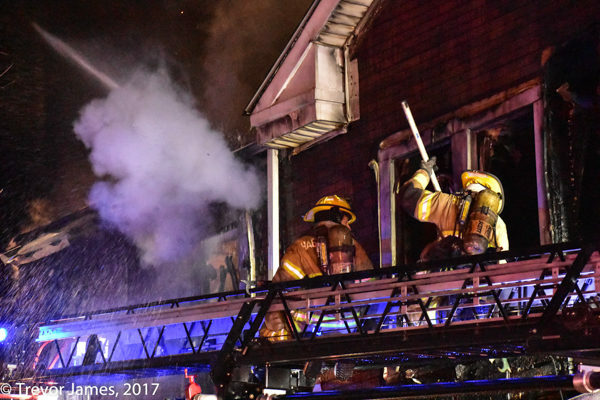 A second alarm was sounded almost immediately upon arrival, and a third alarm quickly followed to bring more manpower and equipment to the scene. 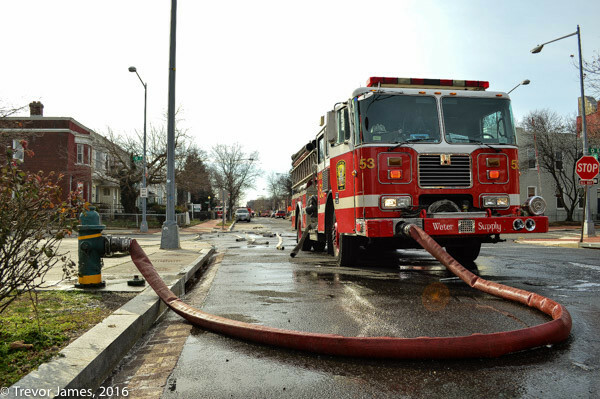 Firefighters protected exposures and set up ladder-pipe operations, at times having five master streams working during the defensive fight. 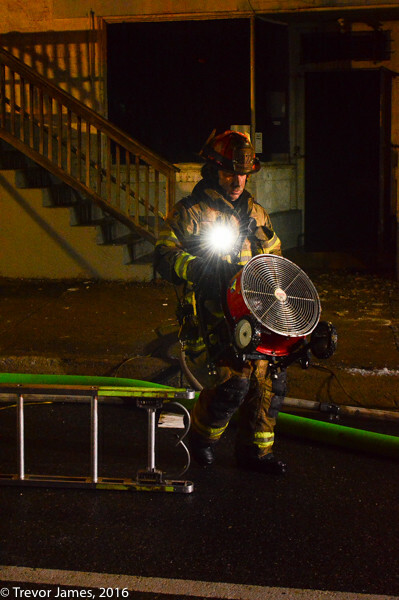 Firefighters encountered access issues to the building since the back side of the structure rests up against a cemetery/park area, with limited access for equipment. 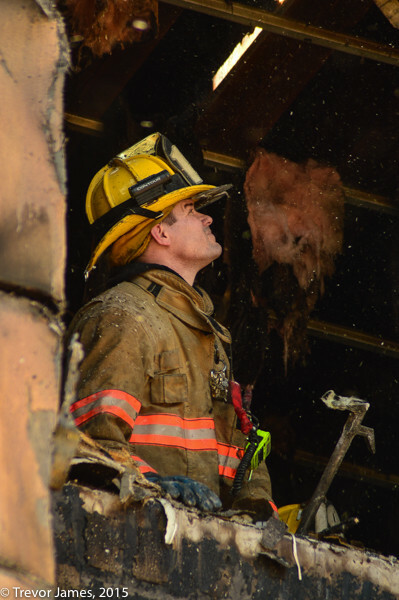 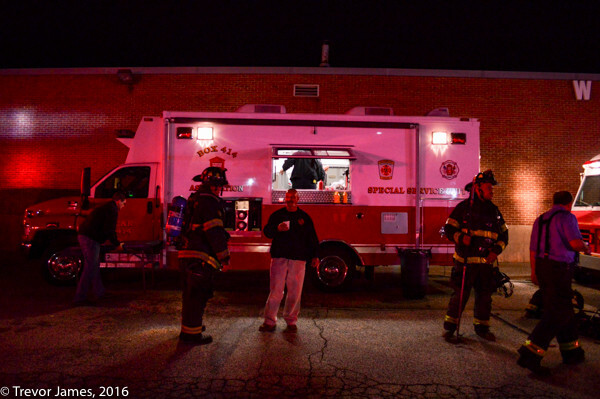 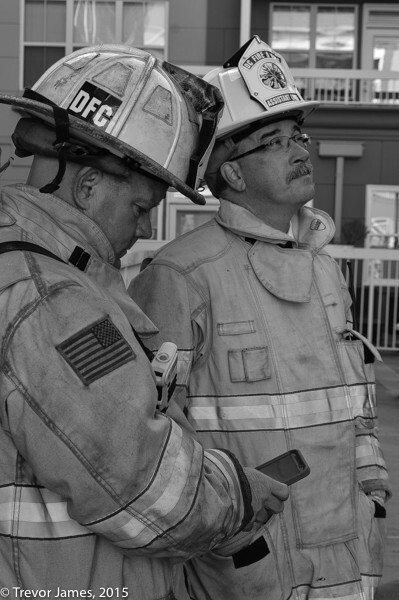 More than 100 firefighters and 60 pieces of equipment were on the scene throughout the incident including the canteen and rehab units from the Box 414 Association. 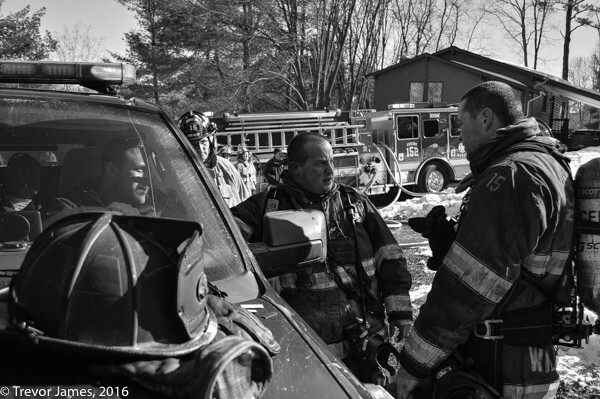 Photos here are from both myself and photographer Stanley Jaworski. 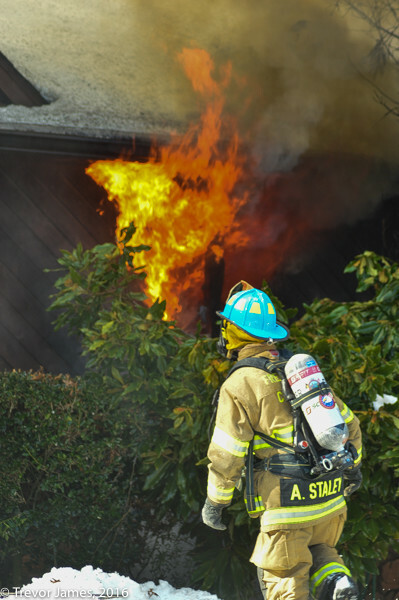 Stanley arrived earlier and captured the initial firefight. 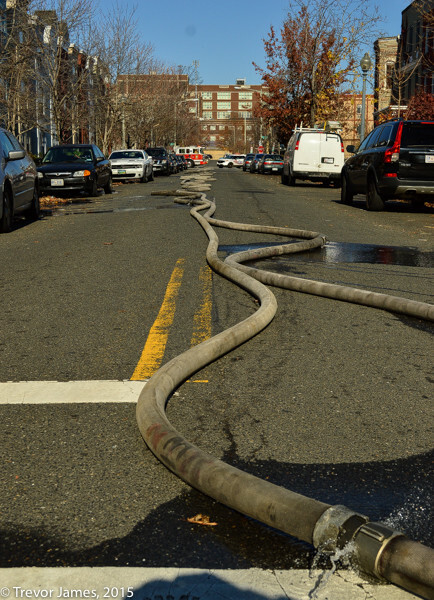 Trevor shot the master stream operations and crews taking up once the fire was knocked. 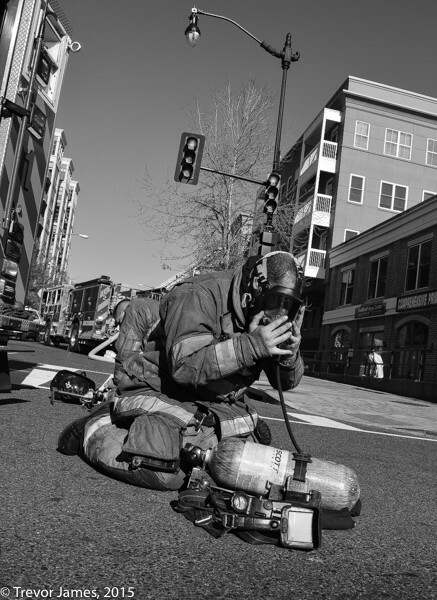 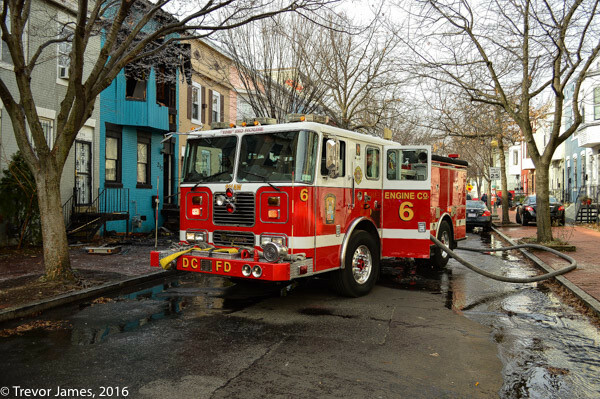 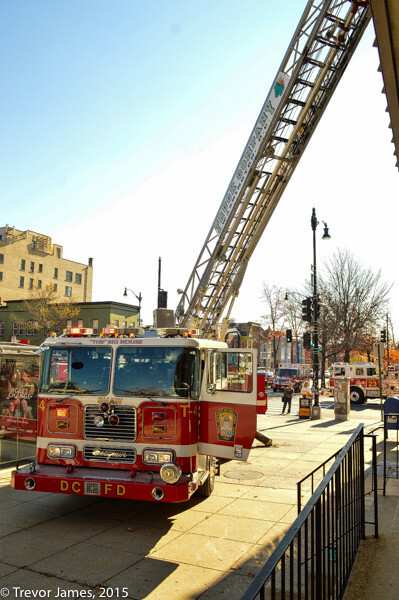 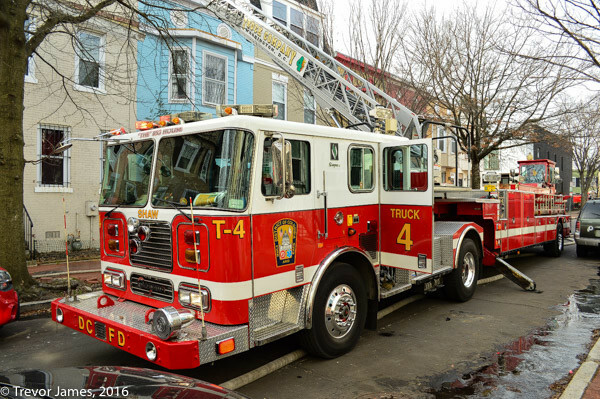 Washington DC Fire & EMS units responded to an apartment fire on Friday morning, Dec. 4. 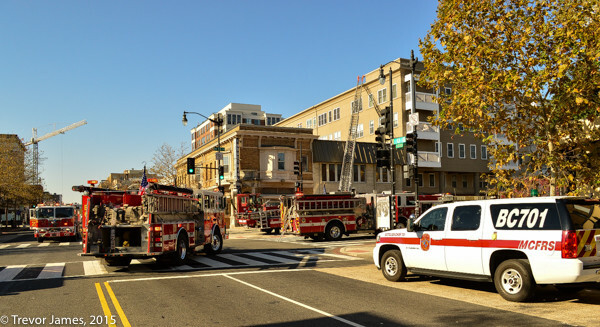 First arriving units reported heavy smoke and fire coming from the interior courtyard of the large apartment complex that takes up an entire city block at 12th & U Sts NW. 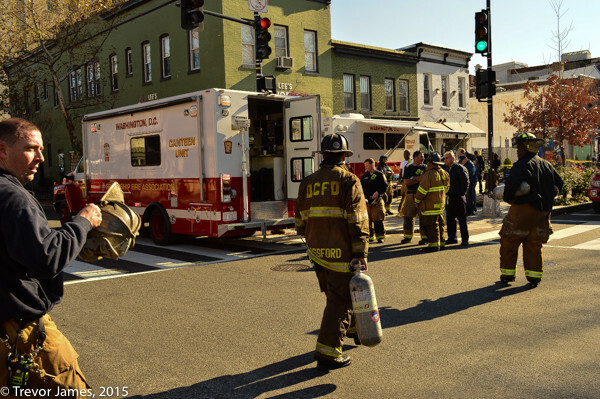 A second alarm was quickly sounded. 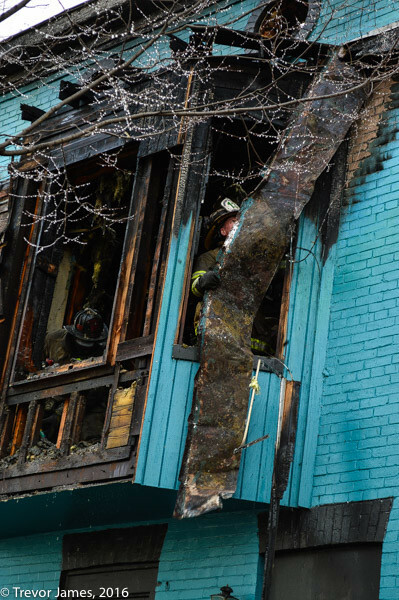 The fire extended through all four floors of the complex via the balconies in the courtyard and into the cockloft. 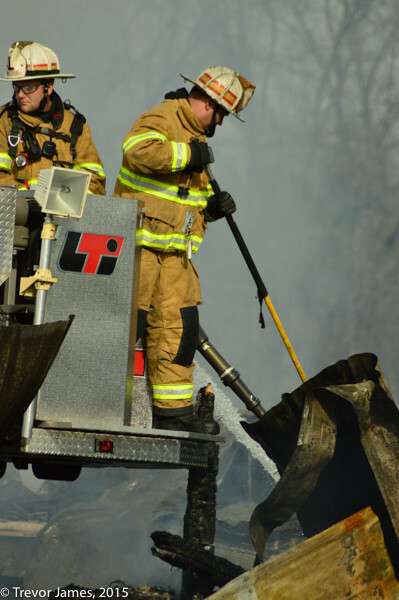 Truck companies worked hard to prevent the fire from extending further through the cockloft. 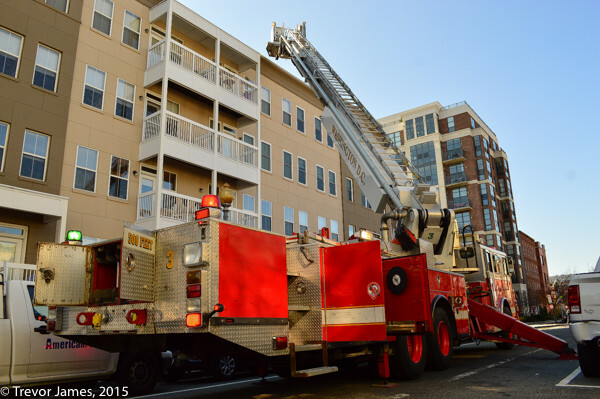 Sprinklers in the building activated also helping to prevent additional extension. 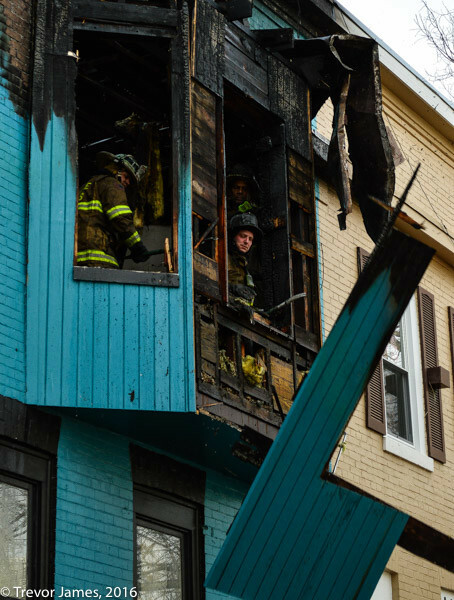 Special calls were requested along with mutual aid from Montgomery County Fire & Rescue for an additional truck company to assist with opening up and overhaul. 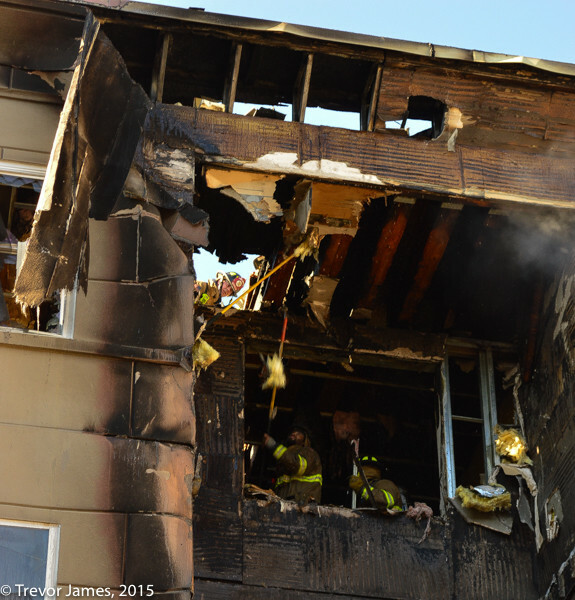 Hundreds of residents of the complex were displaced as a result of the fire. 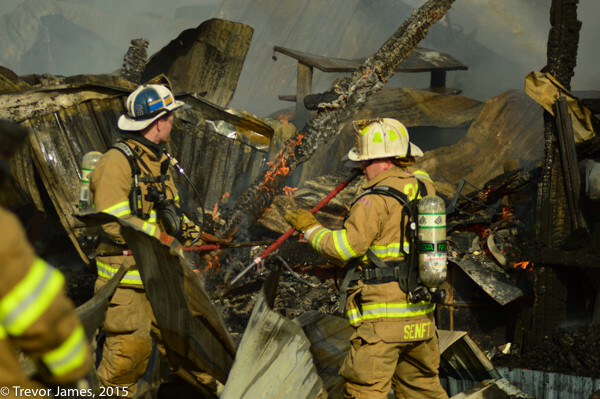 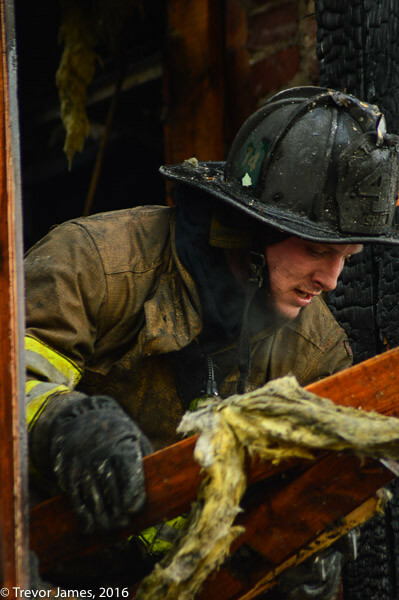 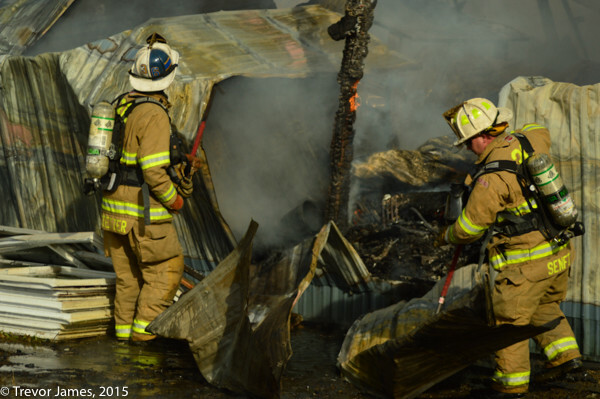 The Friendship Fire Association provided both rehab and canteen support on the scene. 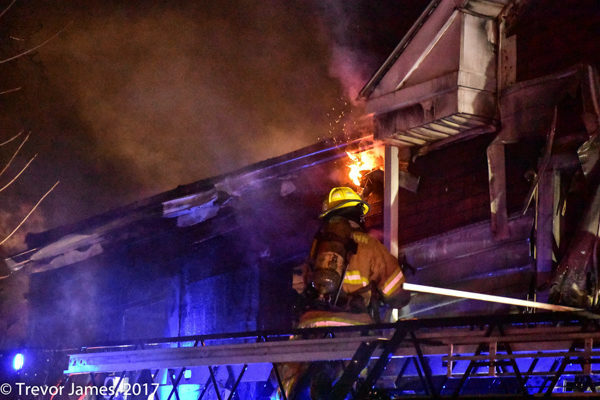 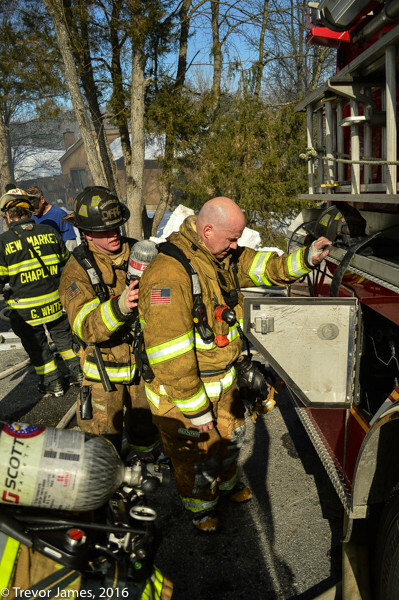 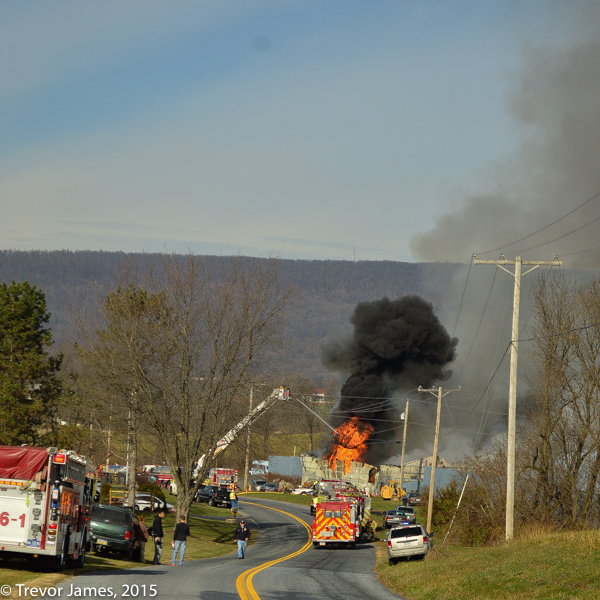 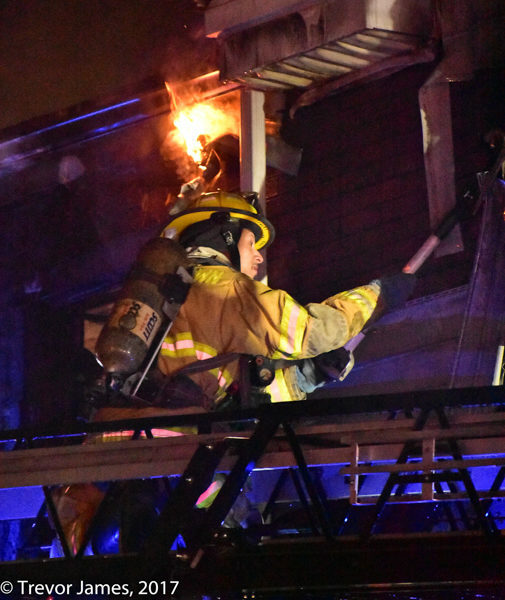 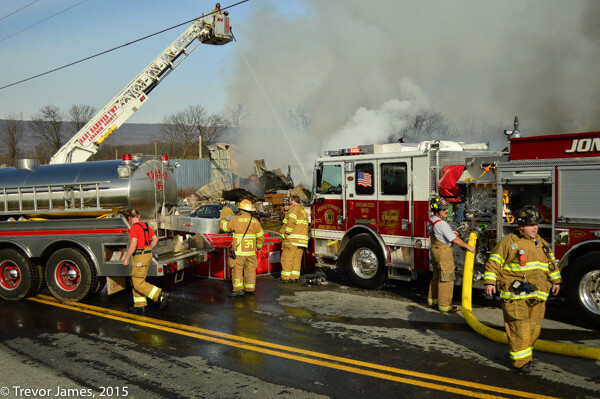 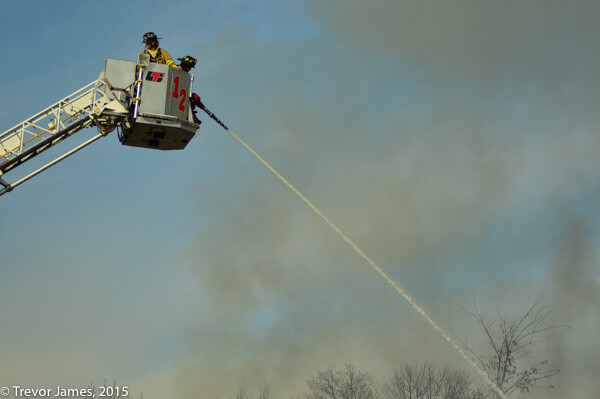 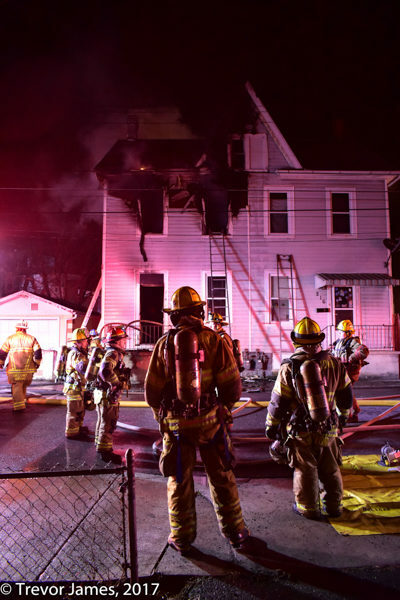 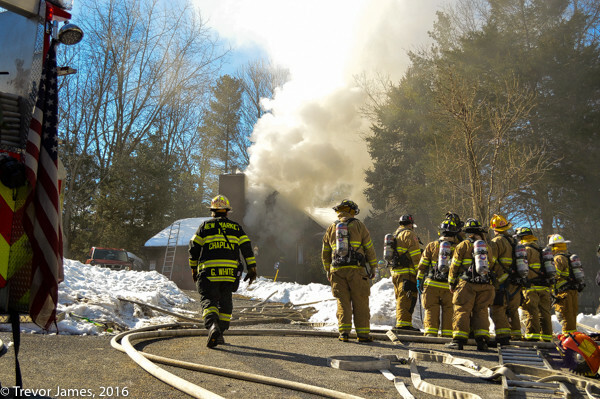 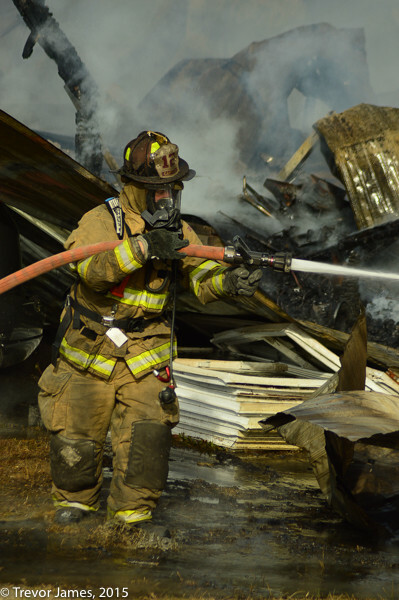 Lebanon and Dauphin county fire departments responded to the building fire on Homestead Road, Grantville, PA in East Hanover Township on Friday morning, Nov. 27. 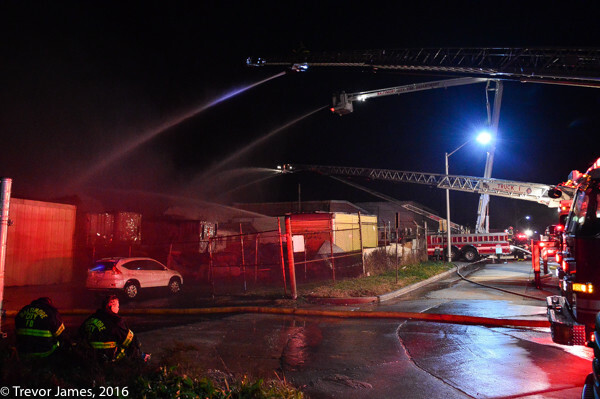 First arriving units found heavy fire & smoke showing from the auto salvage building. 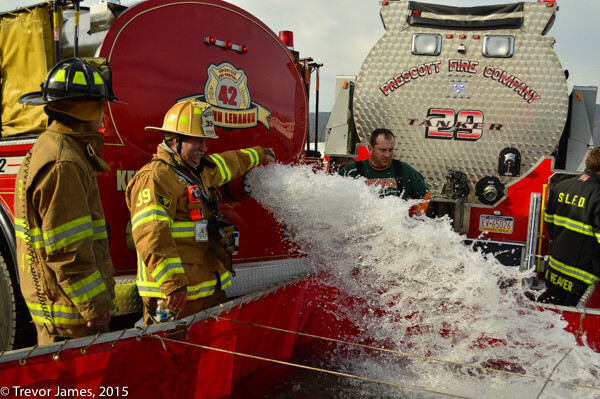 Multiple tanker task forces responded for water supply. 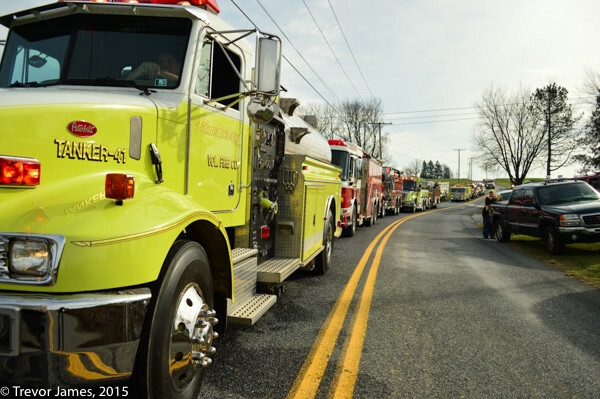 A master stream was facilitated by Truck 12 (Ono Fire Co.) and Lebanon County’s Special Ops/HazMat Co. 50 responded to investigate some unknown substance(s) stored in the building. 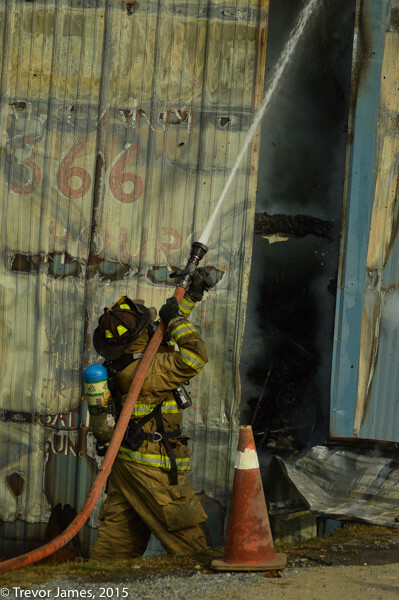 Firefighters worked for hours razing the building’s remaining sheet metal walls to chase hot spots.